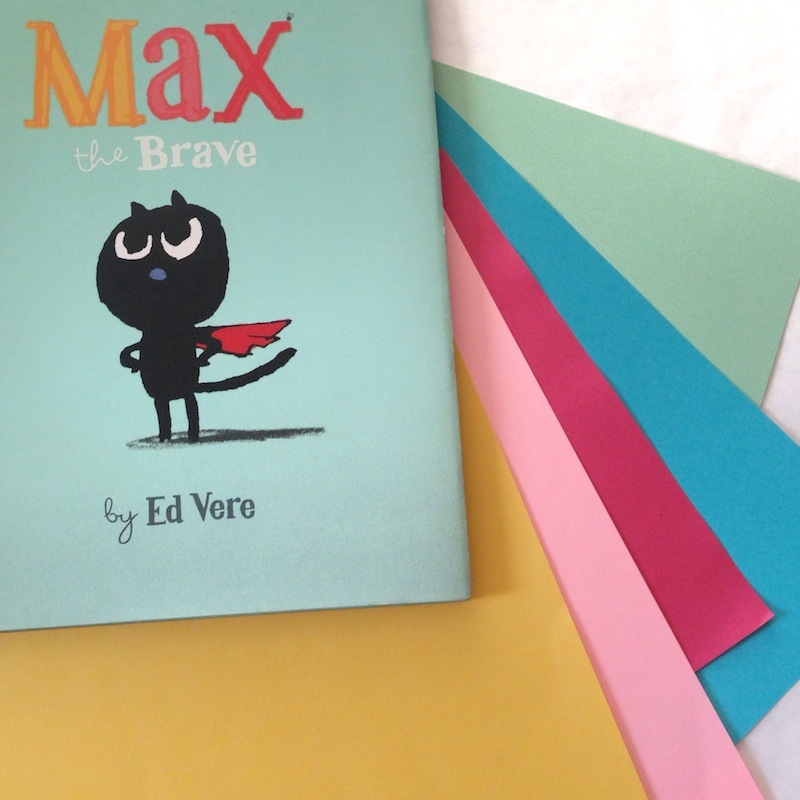 The first thing I noticed about MAX THE BRAVE by Ed Vere was the color palette. Smooth, solid colors serve as backdrops for each spread. So in my mind, this had to be a paper craft. 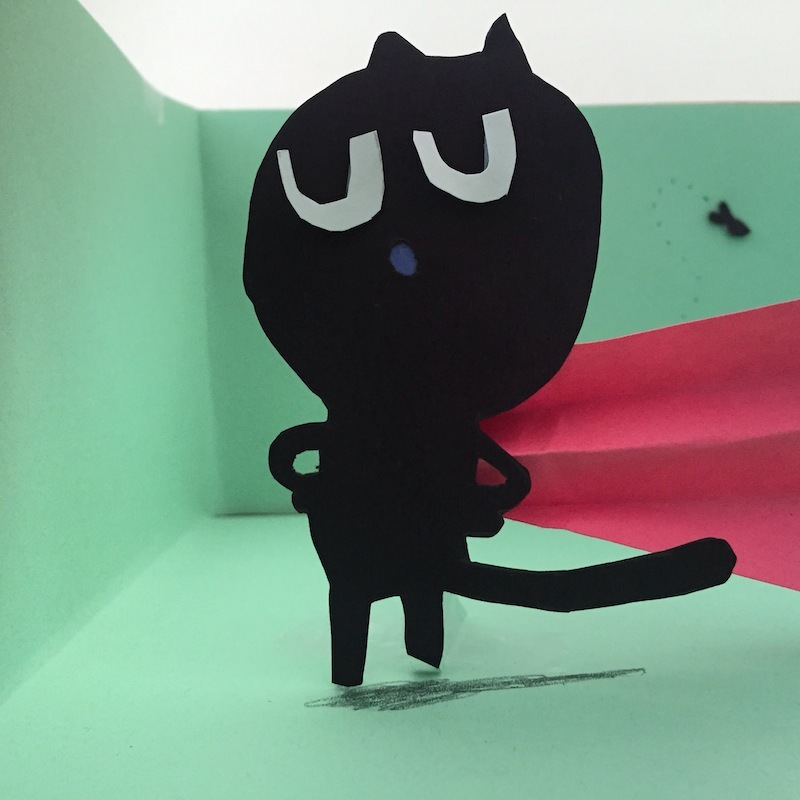 Then, there’s Max himself, that lovable caped cat. Finally, there are all those bold, graphic elements and characters Max meets along the way to being brave. The pink ribbon he’s made to wear as a bow. The fly and fish he talks to. And that crafty mouse! Click here for downloadable instructions. The beauty of a diorama is that you get to experience the story in 3D. Plus, a peephole makes it feel like the whole thing is a hidden secret, so that’s a bonus too! 1. Take the bottom (large) part of the shoebox and cover the entire inside with construction paper; secure with tape or glue. 2. Cut a large rectangle in the top/lid of the shoebox; cover with clear or tracing paper; secure with tape on the inside of the lid. This will provide light inside your diorama. 3. 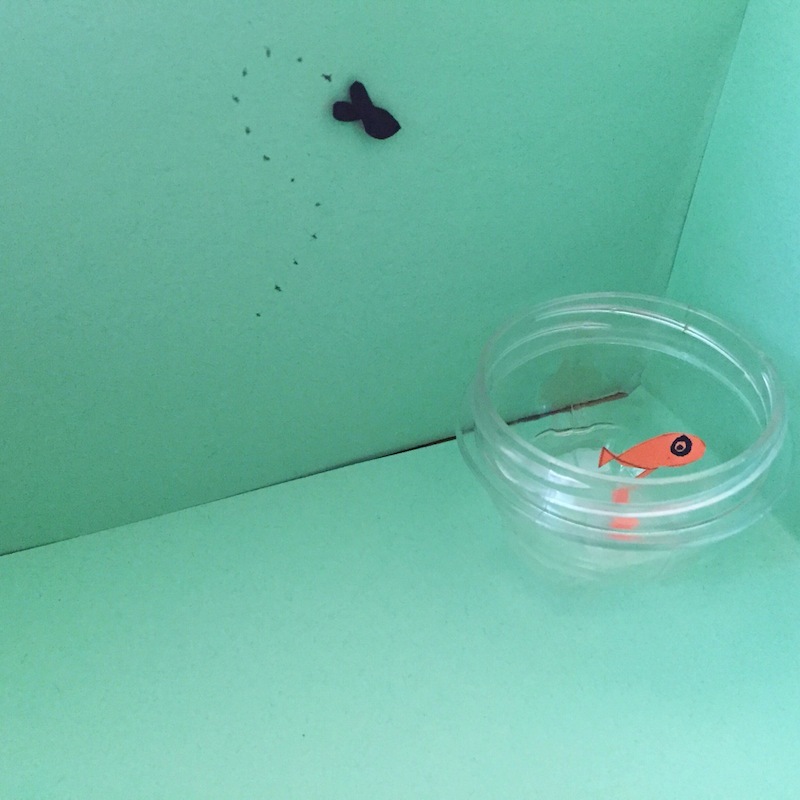 Draw and cut out objects from the book (e.g. Max himself, pink ribbon, a fish, a small fly, the mouse, etc.). Trace anything that’s difficult to draw. 4. Tape or glue each character or item into the bottom of the shoebox wherever you like! 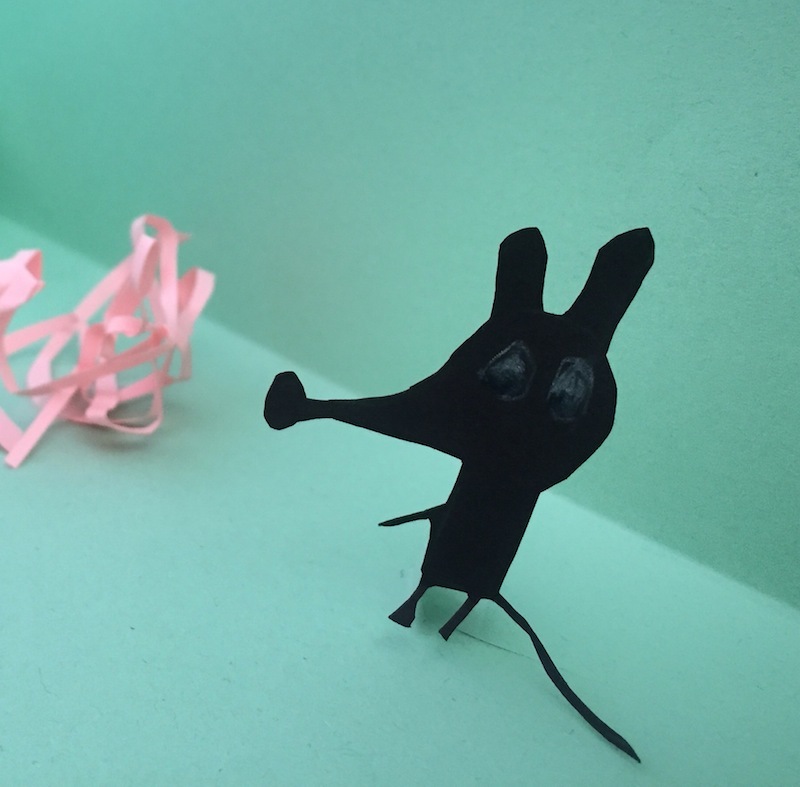 It may be helpful to create a paper kickstand for characters. You can do that by cutting out a triangle of paper and securing the long side of the triangle to the back of the character and gluing or taping the short side of the triangle to the “floor” of the box. 5. Make Max’s cape! Cut out a triangle of red paper and fold it accordion style. Tape to Max’s back/shoulder. 6. 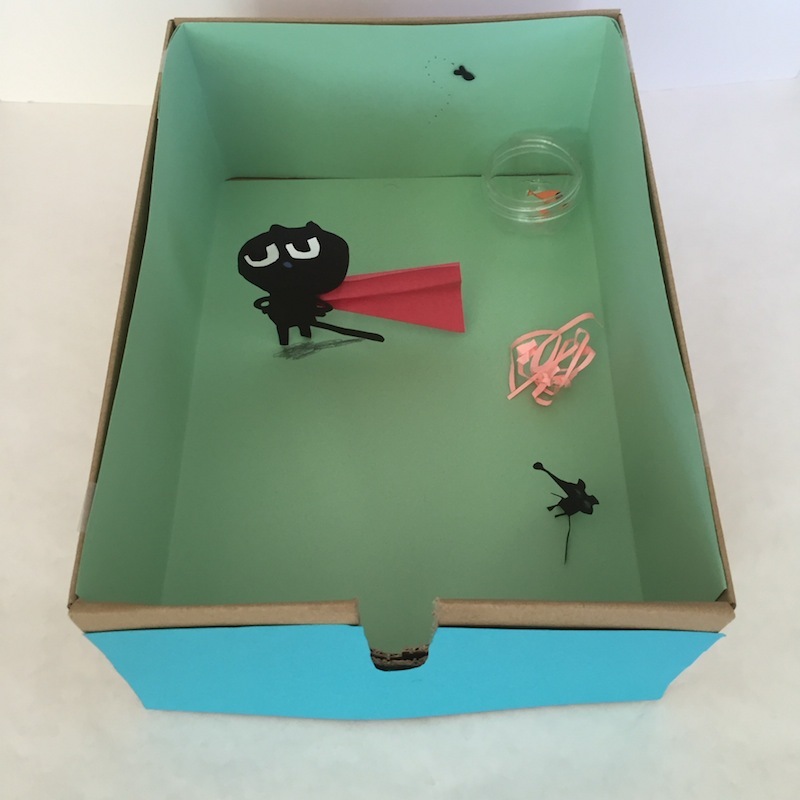 Draw other elements from the book inside the shoebox, like the fly’s flight path, Max’s shadow, trees, or anything else you’d like to include. 7. Cover any words or logos on the outside front of the shoebox with construction paper. 8. 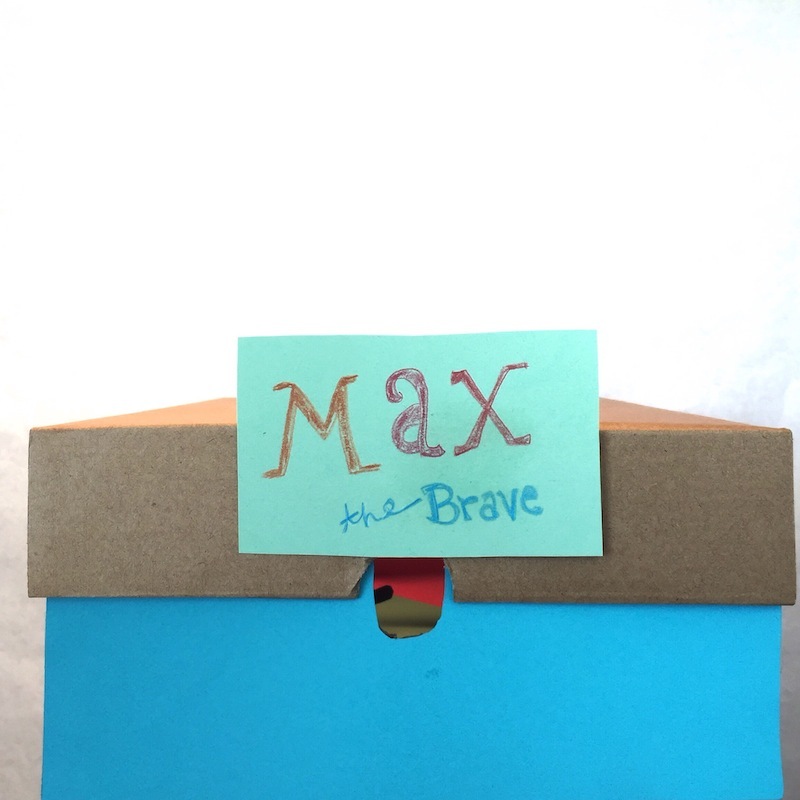 Make a Max the Brave sign for the front of your peephole diorama; secure to front/top of lid. Take a peek to see Max being brave! 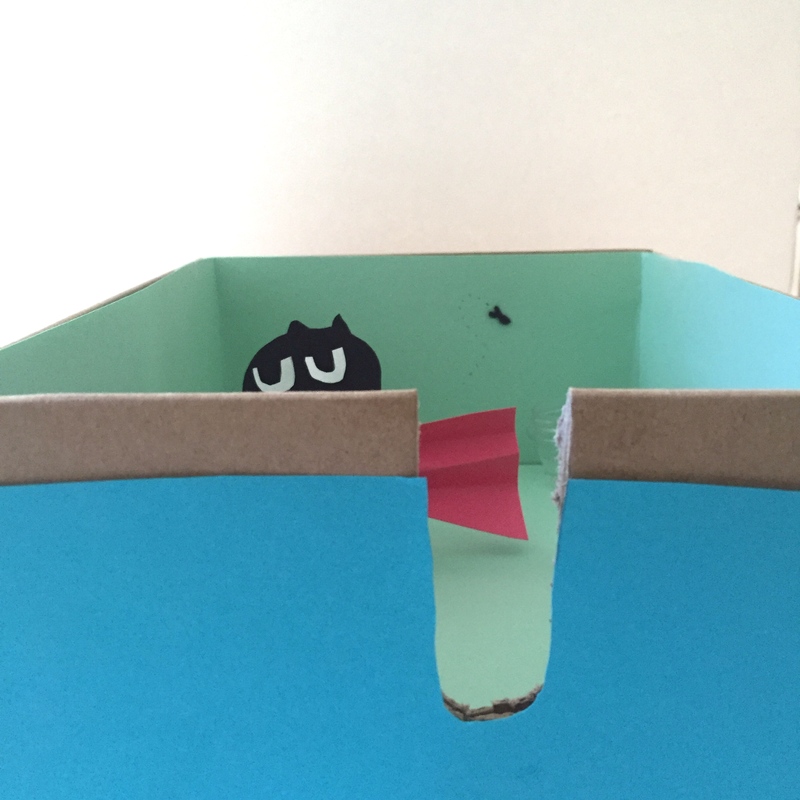 Be sure to check out our ALL THE WONDERS of Max The Brave post for much more with Max, including a song, an interview with Max The Brave author Ed Vere, and a look inside the book. Danielle Davis reads, writes, and roller skates in Los Angeles. She brings picture books to life on her blog, This Picture Book Life, which as it happens is a good place to find her.